My co-worker brought me a bunch of apples from his tree. I wanted to send he and his wife a thank you card. I found this cute card in the Silhouette store. 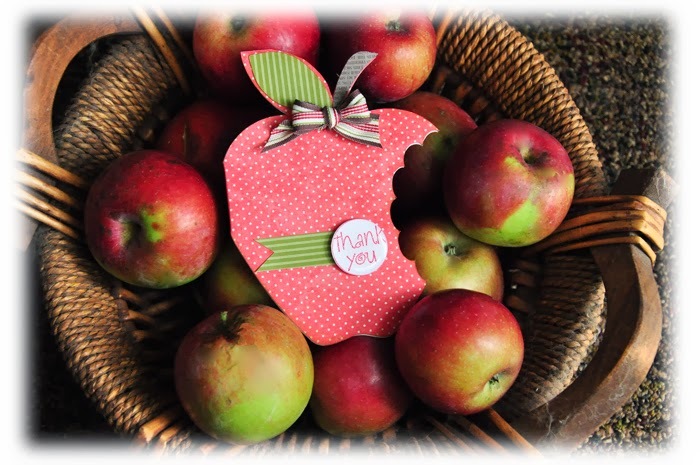 I added just a simple bow and a "thank you" using a stamp by Hero Arts which works perfectly in the Epiphany Crafts Studio Round 25 tool.